Please see attached Link .... useful information..
Pakistan has recently negotiated a good bargain with Qatar for importing $16 billion worth of liquified natural gas (LNG). Students across India are rallying against Modi government's attacks on academic freedoms. 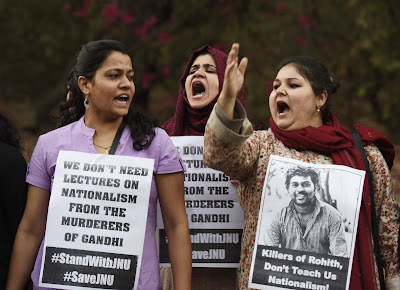 Massive protests were triggered when the Modi government arrested Kahaiya Kumar, the student union president at Delhi's Jawaharlal Nehru University (JNU).